Club Enerji this time found partner in Godrej & Boyce to spread the message of Energy Conservation. On the 14th and 15th of December, they joined hands to bring this initiative to Udayachal Primary School, Mumbai to educate young minds on the need to conserve energy. 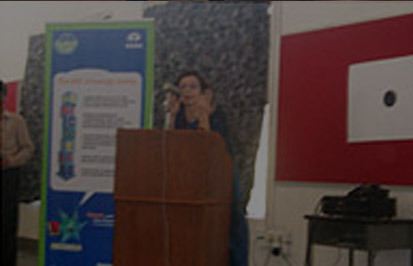 The Chief Guest, Ms. Smitaben Godrej Crisna, made an inaugural speech appreciating the efforts of Godrej and TPEC teams to educate and sensitize the emerging generation on energy conservation and sustainable utilization of resources. The children were also shown a presentation on energy and water conservation by the Vice President and Business Head, Godrej E & E.
Club Enerji then gave a presentation on energy, its importance and the need for conservation. The presentation addressed common modes of wastage, simple steps to control these wastages and the impact that children could make on the environment by adopting these simple energy conservation practices. 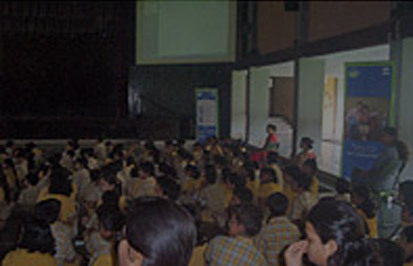 TPEC & Godrej were then involved in a charged session where enthused children demanded answers on various questions ranging from energy conservation to global warming. This holistic view of the energy scenario converged to the one single mission of conservation. 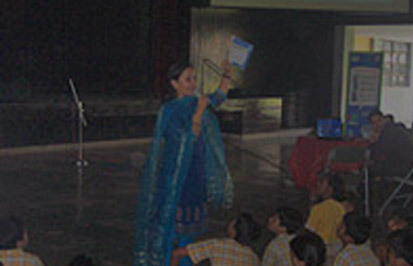 'How to do it' was discussed in detail - instructing and urging students to adopt energy conservation practices, carry out energy audits and reach out to sensitize others. A clear & concise conservation and outreach project with specified targets was laid out. A loud and vigorous expression of solidarity from charged students were answered by TPEC & Godrej teams jointly. The Principals and Teachers recognized the value of the program and enthusiastically expressed their intent to adopt the project as an essential part of the school's activities. 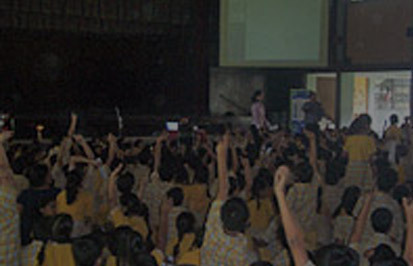 TPEC and Godrej teams have agreed to keep supporting the school's energy conservation efforts.